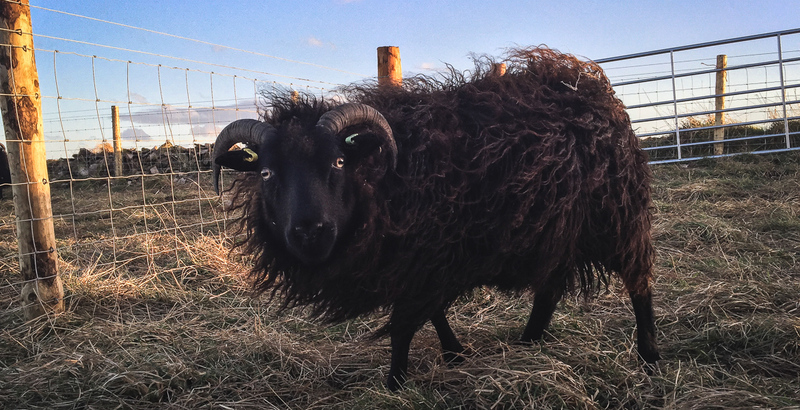 Icelandic sheep come in a dizzying array of colours so you may never need to dye wool again! Icelandic sheep are the direct descendants of the sheep that the vikings first took to Iceland in the 9th century, thus making them one of the oldest breeds of sheep in the world. 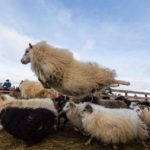 Icelandic sheep give outstanding quality meat, fleece, and milk. 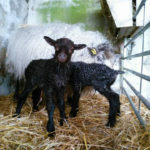 Welcome to the website of the Icelandic Sheep Breeders Of the British Isles. 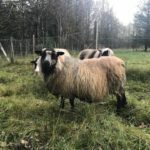 We are passionate about the beautiful, tame and friendly breed of Icelandic sheep, and hope this site will answer any questions that you have about the breed, or look at our contacts page for who to ask about anything not here. You can even post a question on our Facebook page. 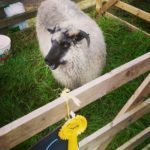 If you are interested in buying pedigree Icelandic sheep, make sure the sheep are already registered with the group, or contact us in case they are this year’s lambs and not registered yet. Icelandic sheep are members of the Northern European Short-tailed group of sheep. 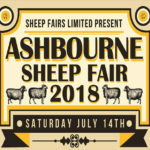 They are a primitive breed, and related to our native Hebrideans, North Ronaldsays, Shetlands and Soays. They differ from these other primitive breeds in that their breeding in isolation over the centuries has resulted in them being larger and much more docile. Icelandic ewes lamb easily, have very good mothering instincts and an excellent milk supply to raise their lambs. They usually have twins, occasionally triplets or more. 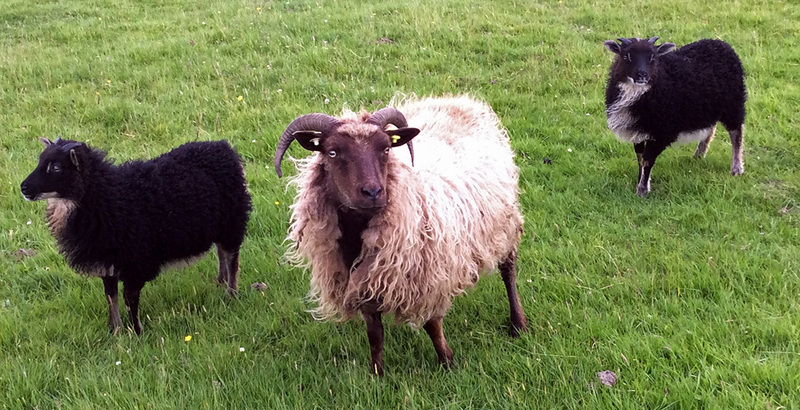 Click here for more information on Icelandic Sheep.